One of the foremost necessities in mental health is to develop effective, affordable forms of psychotherapy that will make quality treatment available to many more people including the majority who are of modest means. The number of persons who would greatly profit from effective psychotherapy far exceeds what people commonly assume. Such assistance is most needed for those who suffer from serous emotional disturbances such as severe depression, anxiety, or phobias. But, in fact, almost everyone, no matter how stable and emotionally mature, can benefit from competent professional help in order to gain insight into his or her underlying psychic makeup and functioning, and to better deal with emotional pain when it arises. People with emotional disturbances often misunderstand, or even ignore, their manifestations or symptoms and do not take the proper steps to deal with them. The major obstacles that have to be faced are the cost of treatment and the obtention of adequate treatment time. Most important is the quality of treatment received. The American Mental Health Foundation, AMHF, has addressed these factors by diligently developing and refining, over decades, the procedures of individual psychotherapy and group psychotherapy. These findings are described in the publications of the Foundation. Even though such increased effectiveness considerably reduces the total cost of therapy, the expense of sufficiently intensive treatment over a prolonged period far exceeds the means of the average patient, even if partially offset by insurance payment. This is based on the estimate that for most people a minimum of two weekly individual psychotherapy sessions is desirable. Two sessions have proved to be more than twice as effective as just one session per week. Access to the unconscious, pried open in the therapy session, will still be somewhat open if the interval between sessions is short. However, the cost of two individual sessions per week makes the development of a genuinely effective yet affordable therapy method impossible along these lines. Fortunately, the major and pioneering improvements in individual psychotherapy and group psychotherapy brought about by the Foundation in the 1950s and 1960s opened most promising avenues. They allowed for the development of the special method of intensive group psychotherapy that offers generous time to the patient. Moreover, it does not entail a financial sacrifice for the group therapist and can provide him or her with far greater satisfaction in his or her work than had been experienced in the past. Most important, however, is the fact that this treatment proved to be quite effective for many patients and, at the same time, was truly affordable to the great majority of people. Many more patients, who otherwise would have been put into individual therapy, could be placed into such groups at the beginning of therapy. Thus, the treatment form is applicable to many patients, even those with severe emotional disturbances not previously considered amenable to group psychotherapy. Quite satisfactory results have also been obtained in the treatment of the elderly. It should be remembered that in its early years many mental health professionals of different academic backgrounds and formation, as well as a considerable number of professional associations, virulently attacked group psychotherapy and the Foundation’s efforts to promote it. The foremost vehicle to make the new intensive treatment form known to the mental health professions was a publication prepared by the Foundation during those turbulent years and distributed by Brunner, at that time the largest distributor of psychiatric and psychotherapeutic books in the United States. Over 80,000 copies of the Introduction to Extended, Intensive Group Psychotherapy (originally entitled Introduction to Psychoanalytic Group Psychotherapy) were sold in six successive editions. 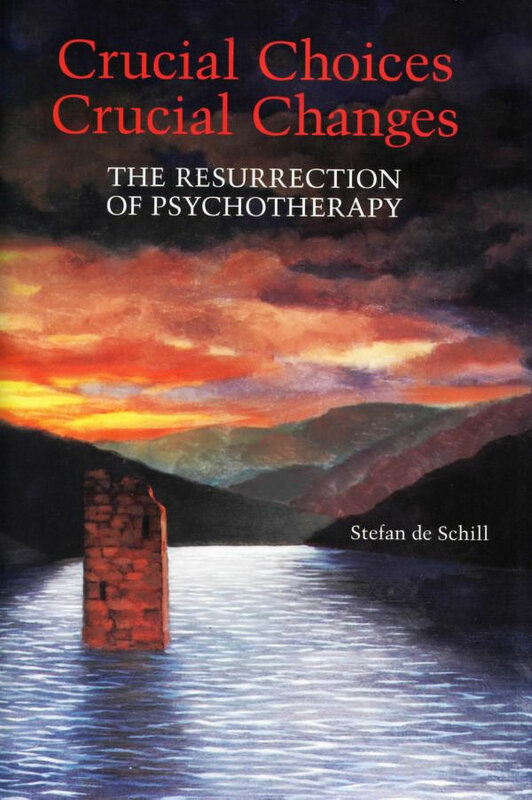 Eventually, a major volume entitled The Challenge for Group Psychotherapy, which advocated this treatment, was published in four languages (1970-74): German (Klett); French (Presses Universitaires de France—the first work on group psychotherapy to be published under the auspices of a major psychoanalytic society); English (International University Press); and Italian (Feltrinelli). Group therapy, as practiced then and today, usually consists of a single session per week of one-and-a-half-hour duration. The number of patients in such groups is generally from seven to nine. However, patients in the group therapy form developed by the Foundation meet twice a week, with each session lasting three hours. One session is with the psychotherapist, the second one without. The difference in treatment results between the two approaches is considerable. It should be stressed that the mere increase of treatment time, even if major, is not sufficient in itself to bring about the hoped-for results. The quality of the treatment given is also of utmost importance. Before a therapist can practice group therapy, he or she needs to have become proficient in individual psychotherapy. The means to obtaining such quality are scrupulously described in a special section of Crucial Choices—Crucial Changes. Group psychotherapy has been around for a long time. Yet, there is still a widespread tendency among professionals practicing only individual therapy to consider group therapy as a sort of shabby relative, tolerated but not respected. Nothing could be less justified. To be an expert group psychotherapist, a professional must acquire additional skills in specialized training, which includes having been a member of a therapy group for a prolonged period of time. Group therapy has made a unique and profound contribution to psychotherapy by deepening, widening, and in some areas changing our understanding of psychological mechanisms and therapeutic processes. The result is the formulation of better hypotheses specific to each individual. There are many positive factors in group psychotherapy that are not available to individual therapists. In individual therapy all transferences are projected on a single person, the therapist. In group therapy, however, the presence of multiple transferences is most valuable in clarifying, and working through, the psychological problems of the patient. For instance, an individual male analyst cannot evoke in a male patient sexual female transferences to the same degree as an attractive woman in the group. Another of the many benefits of group therapy is that people who have undesirable personality traits and behavior patterns— which the individual therapist could not point out without offending the patient— will be made aware of them by the other members of the group.